A Festival of the Music of Latin-American Composers, including Carlos Chávez, Heitor Villa-Lobos, Alberto Ginastera and others. 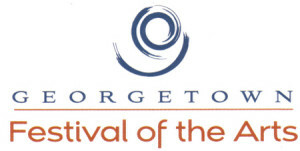 Highlights include concerts featuring the Invoke Quartet, cellist Hai Zheng, violinist Jessica Mathaes, Pianists Kiyoshi Tamagawa, Tara Emerson and Toby Blumenthal; Bruce Cain, Baritone, David Asbury, guitar, Virginia Dupuy, mezzo soprano, Lynn Parr Mock, soprano, The Round Rock Symphony Orchestra, Stefan Sanders, Conductor. Also a free outdoor concert featuring the Chaski Latin-American ensemble plus a Mariachi ensemble playing traditional mariachi music, concluding with fireworks a fireworks display; The festival will end with a concert of music of the featured composers for chorus and orchestra, with Kenneth Sheppard conducting the San Gabriel Chorale, soloists and symphony orchestra in the Lois Perkins Chapel of Southwestern University.